PRAGUE – The Czech Republic’s pro-Russia president won a second five-year term Saturday after beating a political newcomer viewed as more Western-oriented in a runoff vote. 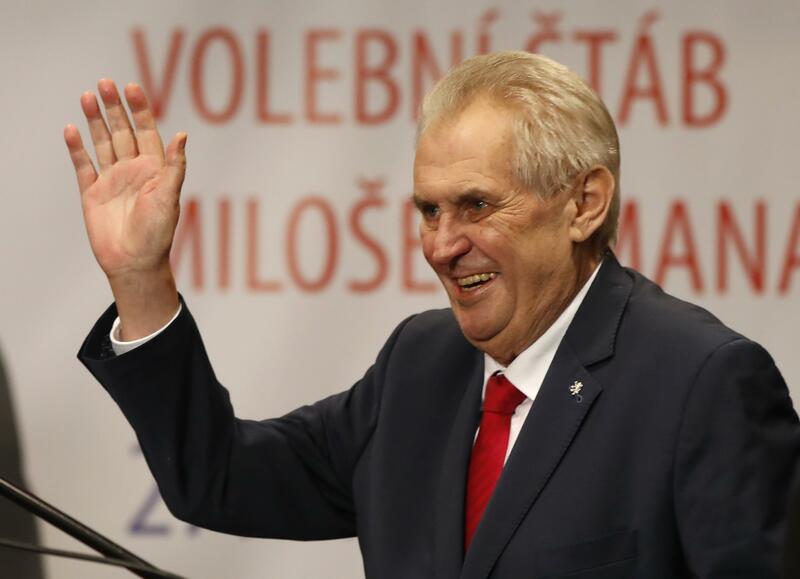 With ballots from almost all polling stations counted, the Czech Statistics Office said President Milos Zeman had received 51.5 percent of the vote during the two-day runoff election. His opponent, former Czech Academy of Sciences head Jiri Drahos, garnered 48.5 percent. “It’s not over,” Drahos said. Zeman, a veteran of Czech politics and former left-wing prime minister, won his first term in 2013 during the Czech Republic’s first presidential election decided by voters, not lawmakers. Zeman was one of the few European leaders to endorse Donald Trump’s bid for the White House. He also has proposed a referendum on the Czech Republic’s membership in the European Union like the one held in Britain. Drahos, 68, who led the Academy of Sciences from 2009 until last year, campaigned on maintaining the country’s ties to the EU and NATO. He ran unaffiliated with a political party. One of the Czech president’s key responsibilities is picking the prime minister after a general election, power that was on display in the days before the runoff election. Zeman is considered a leading pro-Russian voice in EU politics. His views on the conflict in eastern Ukraine, as well as Europe’s migrant crisis, diverge sharply from the European mainstream. He called Russia’s annexation of the Crimean Peninsula irreversible. He has linked extremist attacks in Europe to the ongoing influx of newcomers, called the immigration wave an “organized invasion” and repeatedly said that Islam is not compatible with European culture. Some pro-Russian websites spread fake news about Drahos during the campaign, according to the Prague Security Studies Institute, a respected think tank. The false information alleged that he cooperated with the Communist-era secret police and was willing to accept an EU plan to redistribute asylum-seekers among member countries, the institute said. Zeman is the Czech Republic’s third president, after Vaclav Havel and Vaclav Klaus, since the country and Slovakia were created from Czechoslovakia in 1993. Published: Jan. 27, 2018, 8:44 a.m.